Jaguars once roamed free from Texas to Argentina, but are now extinct over much of their former range. However, Belize is a stronghold for Jaguars, and while they are difficult to see, their footprints are often spotted in the reserves. Jaguar Cars has been supporting conservation in Belize for over 10 years, and their latest grant is to the World Land Trust (WLT), who has initiated this imaginative joint programme with PfB and UEA. The results of the investigations will help with the long term goals; to ensure that sufficient income is generated to pay for the conservation, and that local people are able to derive significant benefits. 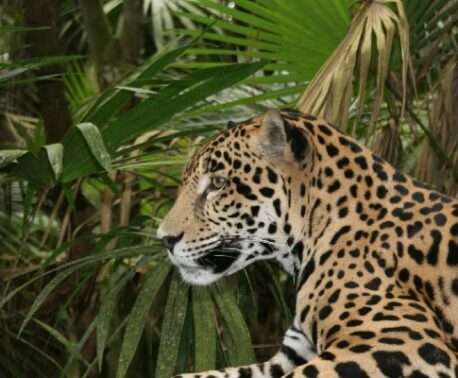 For further details, read the press release Jaguar Cars support Belize conservation. More information on WLT's project in Belize can be found on the Trust's projects pages.